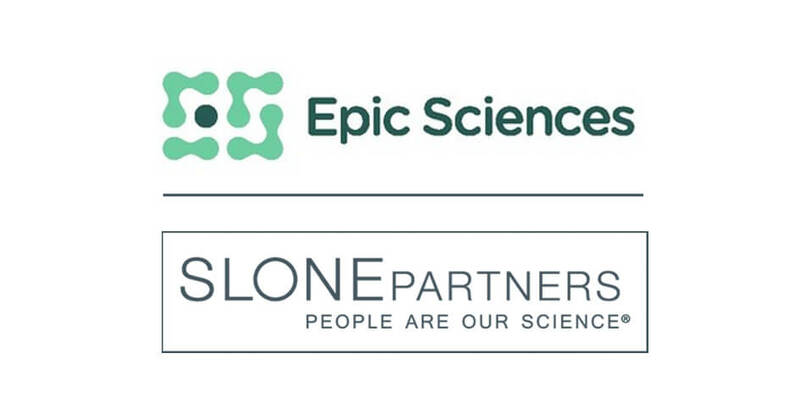 Slone Partners Places Lloyd Sanders As CEO At Epic Sciences, Inc.
16 AprSlone Partners, Where People Are Our Science®, Places Lloyd Sanders As CEO At Epic Sciences, Inc.
SAN FRANCISCO – April 16, 2019 – Slone Partners, North America’s leading executive search firm for life sciences and diagnostics companies, announces the placement of Lloyd Sanders at Epic Sciences, Inc. as Chief Executive Officer. With headquarters in San Diego, California, Mr. Sanders is responsible for all strategic and business aspects of the oncological diagnostics company. Epic Sciences develops novel diagnostics to improve and personalize the treatment and management of cancer with a mission to extend patient lives. The company’s focus is to offer greater certainty for doctors to make correct decisions for patients at pivotal points in treating cancer and to rapidly pivot away from therapies that are no longer clinically effective. Currently working with 65 top pharmaceutical partners and 45 academic cancer hospitals, including the National Cancer Institute, Epic Sciences’ technology is being used in over 200 clinical trials and has tested over 10,000 patient samples. Utilizing its rare-cell detection engine technology, the company has the world’s leading pipeline of personalized, predictive and proven tests to guide therapy selection across the most impactful drug classes in oncology. For example, Epic Sciences has partnered with Genomic Health to commercialize the first predictive liquid biopsy test for prostate cancer. The company is building a strong pipeline of additional tests for breast, lung, and bladder cancers. Prior to joining Epic Sciences, Mr. Sanders served as President of Myriad Genetics Oncology division overseeing the oncology, urology and dermatology commercial organizations. While at Myriad, he was responsible for the sales, marketing, medical affairs, customer service and laboratory operations for numerous market-leading commercial products. Previously, Mr. Sanders served as Chief Operating Officer at Dey Pharma, a division of Mylan, overseeing sales, marketing and medical affairs, including the EpiPen® flagship brand. Prior to Dey Pharma, he held several leadership positions at Sanofi-Synthelabo, subsequently Sanofi-Aventis, where he led the successful restructuring and integration of the two companies’ sales forces. Mr. Sanders earned a Bachelor’s degree in business with an emphasis in marketing from Memphis State University. “In the rapidly-escalating and competitive landscape of precision medicine, Epic Sciences required their new CEO to have substantial depth and breadth of oncology industry experience. Lloyd is a mission-driven leader who will thrive in Epic Sciences’ high-intensity culture that is collaborative, creative and entrepreneurial.” says Tara Kochis-Stach, President of Slone Partners. Slone Partners delivers the leaders who build amazing scientific healthcare organizations – People Are Our Science®. Since 2000, Slone Partners specializes in delivering world-class C-suite leadership, executive, and upper management talent to the most promising and established life sciences, diagnostics, precision medicine, CRO, and laboratory services companies. With coast-to-coast presence in the most active healthcare industry hubs of Boston, San Francisco, Los Angeles, San Diego, Austin, Research Triangle Park NC, and Washington DC, Slone Partners uniquely and precisely provides an array of executive search and advisory services to innovative scientific healthcare companies. To learn more about Slone Partners’ value proposition and processes, visit www.slonepartners.com or call 888.784.3422. Epic Sciences, Inc. is developing novel diagnostics to personalize and advance the treatment and management of cancer. Epic Sciences’ mission is to enable the rapid and non-invasive detection of genetic and molecular changes in cancer throughout a patient’s journey. The company was founded on a powerful platform to identify and characterize rare cells, including circulating tumor cells. Epic Sciences No Cell Left Behind® technology helps match patients to therapies and monitor for drug resistance, so that the best treatment path can be chosen at every clinical decision point. Epic Sciences has partnered with Genomic Health to commercialize the Oncotype DX AR-V7 Nucleus Detect test, which helps with therapeutic decisions between taxane chemotherapy or androgen-directed therapeutics in metastatic castrate-resistant prostate cancer. Today, we partner with leading pharmaceutical companies and major cancer centers around the world. Epic Sciences’ goal is to increase the success rate of cancer drugs in clinical trials and improve patient outcomes by providing physicians real-time information to guide treatment choices. Epic Sciences is headquartered in San Diego. Further information is available on the Company’s website www.epicsciences.com.